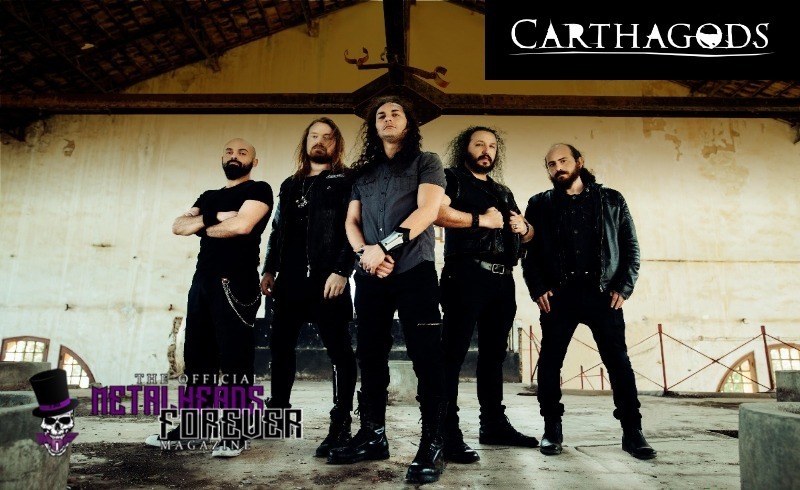 brand new heavy album from Tunisian pioneer Power progressive metal band CARTHAGODS returns with the brand new studio album « The Monster In Me », which will be release on April 26th 2019 by Darkside Records Europe. In the past years CARTHAGODS has build a reputation for being one of the best live bands by innovation and high level performance . They were also joined on stage by Legends like Max Cavalera , Paul Di Anno , Tim Ripper Owens , Kiko Loureiro , Ron Bumblefoot Thal , Mark Jansen and many more ..
With « The Monster In Me » the successor of the first album « Carthagods » (2015) with knew a notable success in the magazines reviews and by sells results, they begin a new chapter. This work is a mirror of the soul of every spectator that reveals in him a part inhuman and vehicle its own demons, but also can meet a positive dimension in the meaning of life. The shooting was done on Four days, during which M.KHEMA had to learn the whole song backwards as we felt that the video must start at the end to get to the beginning according to the timeline of the lyrics story.